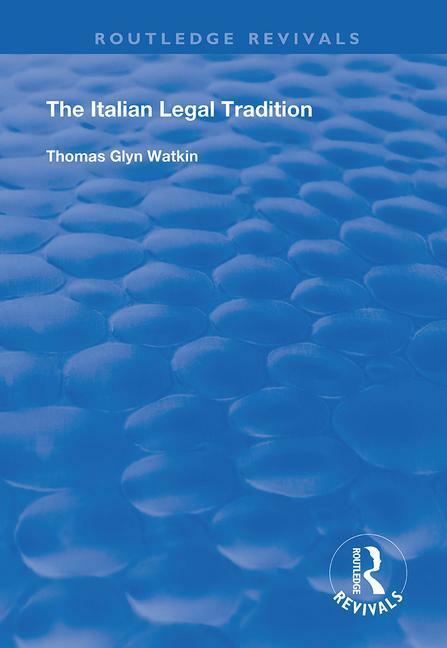 First published in 1997, this volume provides the reader from a common law background with an introduction to the Legal System and basic private law institutions of contemporary Italy. It aims to afford a basic understanding, rather than a detailed presentation, of Italian law, through an appreciation of its historical development within the civil law tradition and its place in that family of legal systems descended from Roman law. Having described Italy’s place in European legal history and identified the main features of civil law systems generally, it examines the structure of the modern Italian State, its legislative process. Constitution, legal professions and systems of civil, criminal and administrative justice. The last third is devoted to private law, in particular the law relating to the family, property, contracts and civil wrongs, particular attention being paid to differences between the civil and common law approaches to these subjects. It is a readable, lucid and systematic account of its subject.